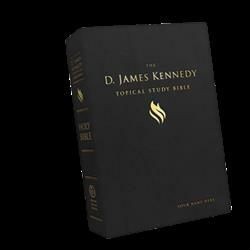 The D. James Kennedy Topical Study Bible is a one-of-a-kind study tool that is now available for you to request through this special advance offer. Featuring over 700 of Dr. Kennedy’s personal commentaries and notes drawn from his almost 50 years of Bible study and teaching, there is simply no other study Bible like this. Watch uploaded videos from truths-transform on FREE video sharing website GodTube.com! You can search and watch family safe Christian, music, inspirational, cute, funny, comedy, educational and Spanish videos on GodTube.com! Do you have some great video clips you would like to share? It's easy, simply create a FREE account, then start uploading videos to your own personalized video channel!